Manchester United have been linked with Gareth Bale in recent times and will see these latest reports from Spain as very encouraging news indeed. 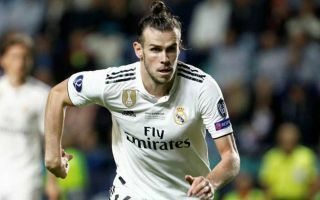 According to Don Balon, the Wales international has asked his club Real Madrid to lower their demands for him in the transfer market as no one currently looks ready to meet his £87million asking price. The report states no club is ready to pay more than around £70m for him at the moment, which seems a fairer price given his recent slump in form. The 29-year-old has not been at his best this season and at this age it might well be that we’re unlikely to see him replicate his peak form ever again. Still, Don Balon did recently suggest United were still prepared to pay big for Bale as they seek to strengthen their attack. This certainly looks a reasonably sensible move as he’d surely be an upgrade on struggling players like Alexis Sanchez and Marcus Rashford, and also cheaper than the likes of Eden Hazard and Neymar, also mentioned in that Don Balon piece. Bale seems keen to land himself one final big contract, says Don Balon, and it seems he’s taken a decisive step towards pushing Madrid to let him go.